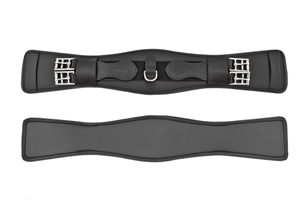 The ThinLine Dressage Girth is made of very nice English leather lined with a layer of ThinLine. 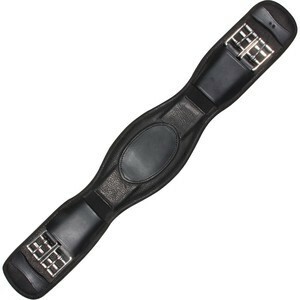 This perfect lining provides non-slip, non-rub, Thinline shock resistant comfort for your horse. Your horse also benefits from the ThinLine lining being breathable and anti-microbial to keep his skin clean and healthy. 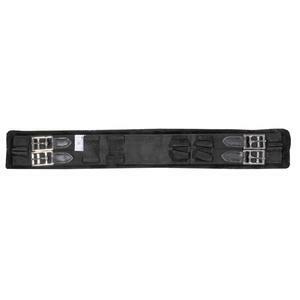 Elastic center with D, and roller buckles on both ends.